more limier color. They both have brown thatch which gives it that authentic look. This turf is our second most popular lawn turf, it is identical to Golden Bear 50 but has green thatch. color (olive and evergreen) with green thatch. This turf is a tad more plush then the Golden Bear and Over Seeded Rye with a 60 ounce face weight. The blade height is 1 ¾ inch, and comes in 2 colors, blend and spring green. It also has green thatch. 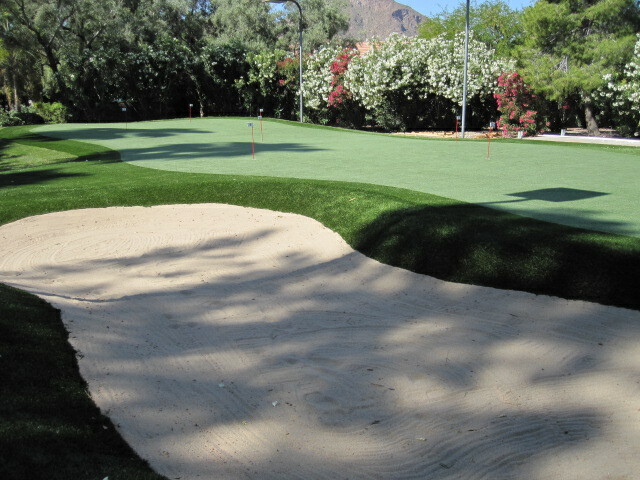 beautiful looking turf that comes in blend or spring green. Blade height is 1 ¾ inch. 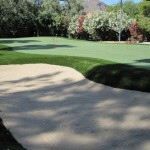 turf is 2 inches and comes in 2 colors, blend and spring green and also has the authentic brown thatch. 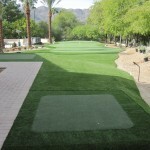 turf to use as an apron around your putting green and is great to chip off of. surface as the ball rolls on it straight and true. Metro area. Great to chip and hit irons off of and you can even stick a tee in it to drive from. 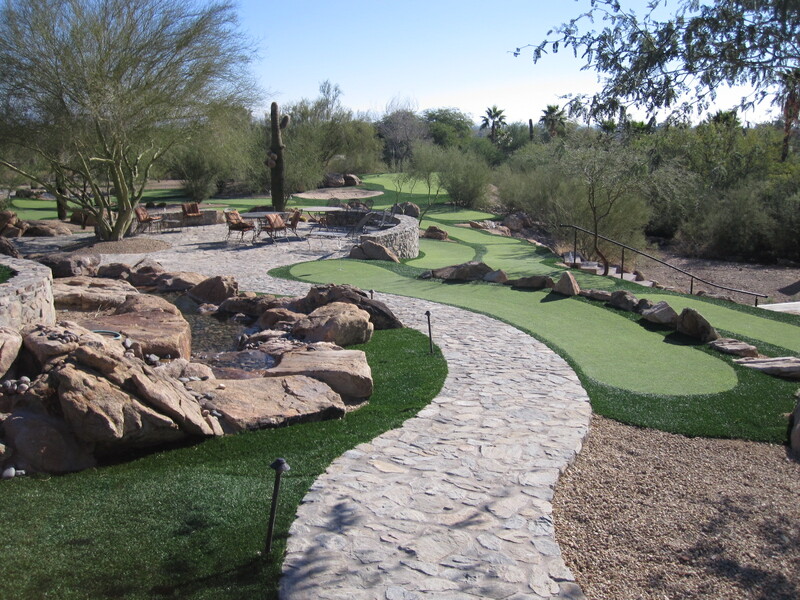 Why choose Southwest Greens of the Valley in Arizona? 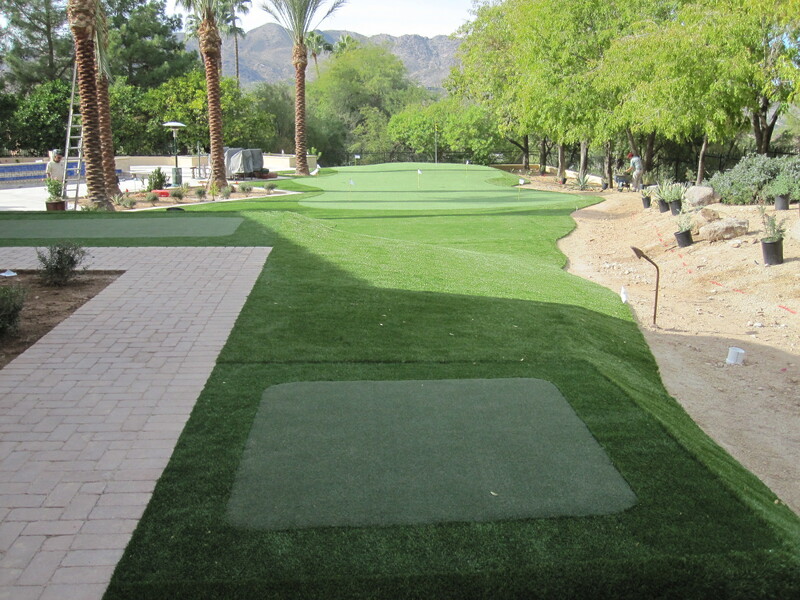 We do synthetic and artificial turf and we do it well. 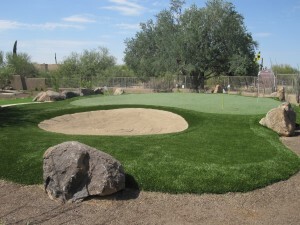 Synthetic turf is not our sideline or secondary business like many landscape companies.We’re the pros at customizing to your desired needs, whether it’s a customized putting green with fringe, contours, and undulations, to a play area for the kids, or a synthetic turf lawn to bring you that backyard oasis you’ve always wanted. And, our installers are the envy of the synthetic turf industry! Our sales consultants are trained to provide you with professional landscape designs. 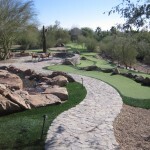 Every design is a custom Southwest Greens of the Valley design done just for you. On-site tours! We’ll schedule an onsite tour with you where you can visit “residences” that have a Southwest Greens of the Valley putting green, lawn or play area, so you can evaluate the high quality of our finished products. Contact us today for your complimentary consultation at 480-664-9417 or use our contact us form now.